Zaha Hadid’s One Thousand Museum Tower takes center stage in the premiere of “Impossible Builds,” a new documentary series on PBS that examines the world’s most complex and technologically advanced construction projects around the globe. Episode 1, “The Scorpion Tower,” is scheduled Wednesday, February 7th on local PBS affiliates. 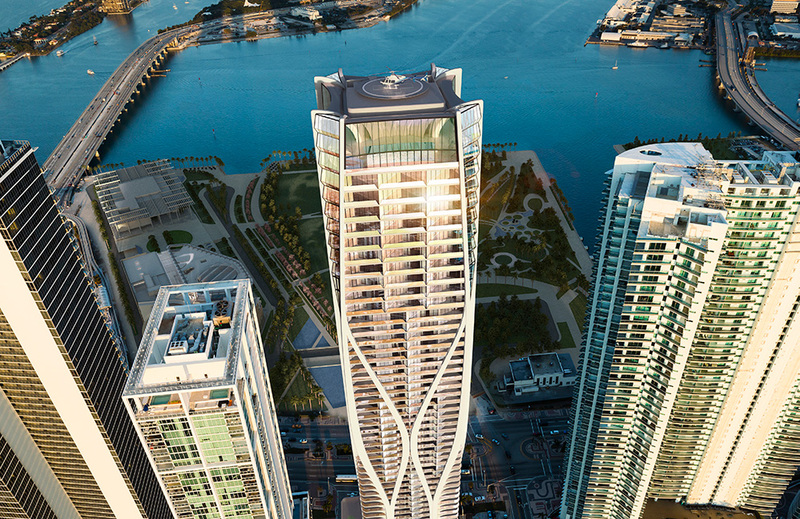 Located in the cultural epicenter of Downtown, Miami, the 63-story, 705-foot tower will overlook the Perez Art Museum, the Frost Science Museum, the Adrienne Arsht Center for the Performing Arts, and the American Airlines Arena. The tower’s façade, a structural exoskeleton comprised of Glass Fiber-Reinforced Concrete (GFRC), utilizes a material never before used in the construction of high-rise structures and resembles an undulating piece of sculpture from podium to pinnacle. Beyond aesthetic, the tower’s exoskeleton is designed to carry gravity loads of the tower and to withstand high-velocity, hurricane wind forces. Read more about Impossible Builds and locate your local PBS affiliate station here.